CENTER OF MICHAEL NOW MOVING INTO SOUTH-CENTRAL GEORGIA. DAMAGING WINDS STILL OCCURRING INLAND. STORM SURGE LEVELS GRADUALLY SUBSIDING ON THE GULF COAST. 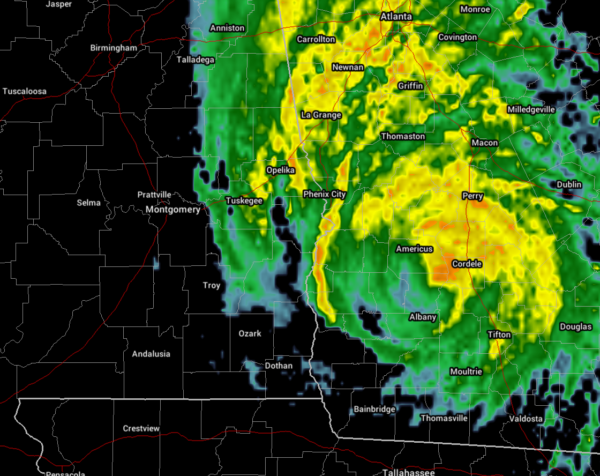 NOAA Doppler weather radar data indicate that the center of Michael is now moving into south-central Georgia. Winds are continuing to decease across the Florida panhandle. Storm surge levels will continue to decrease along the coast of the Florida Panhandle tonight. A National Ocean Service water level station at Apalachicola is now indicating about 2 feet of inundation above ground level. Over 58,000 people in southeast Alabama are without power (as of 9:00 PM CDT), while power outages in Florida are over 326,000. Georgia currently has over 147,000 customers without power. 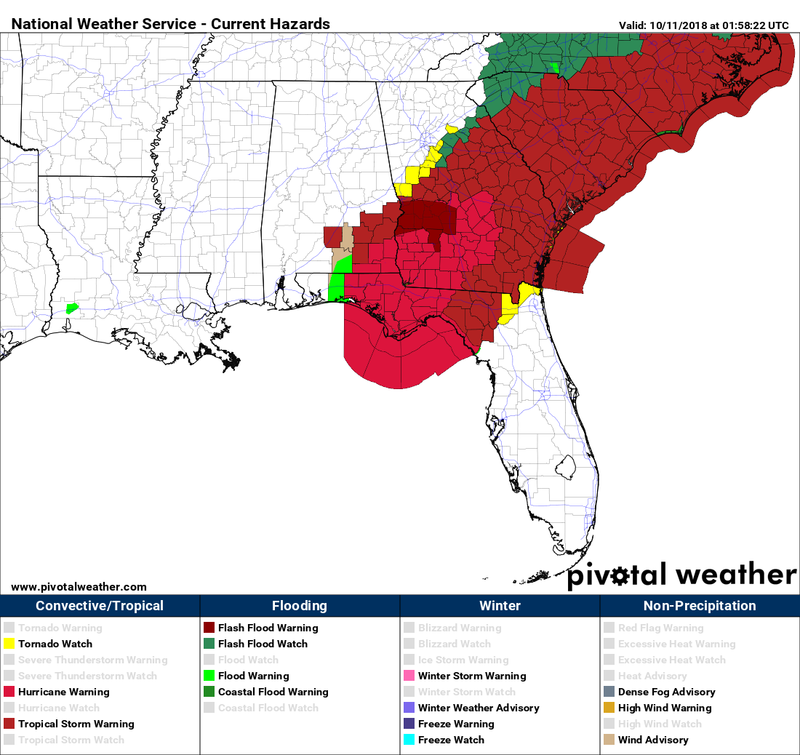 These are the current watches and warnings across the southeast as of 9:15 PM CDT.